Looking for a well priced home in an HOA with a pool (coming soon!)? Grab your coat and come out to view this Quick Move In Home in Carriage House Trails in Temple Texas. Carriage House Trails is located in the Belton ISD. This is the Jerry Wright Homes 1886 plan, featuring rustic elements like the wood burning stone fireplace, and high ceiling accented by a wood beam. The rustic feeling continues with the knotty alder cabinetry throughout the home. Master suite is truly oversize and the master bath has up to the minute tile selections and huge closets! Builder is including full yard grass sod, full yard sprinkler system, privacy fencing, garage door opener and refrigerator! 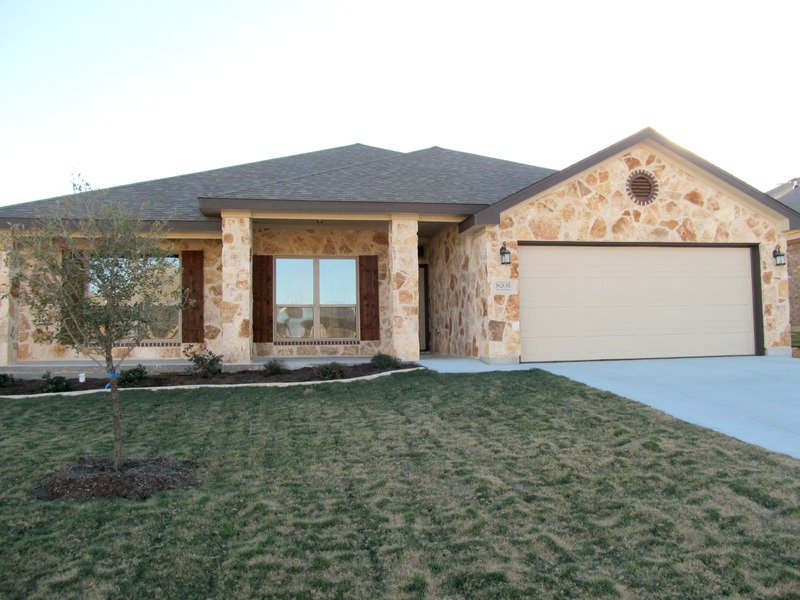 Click here to see more about this home at: 8205 Salt Mill Hollow or call 254-681-4875. Directions to Carriage House Trails: Due to the construction on HWY 317, we are recommending an alternate route. From Old Waco Road turn on Poison Oak, then left on Pea Ridge, then right on Poison Oak where it continues. Turn into the Carriage House entry, then right on Salt Mill Hollow.